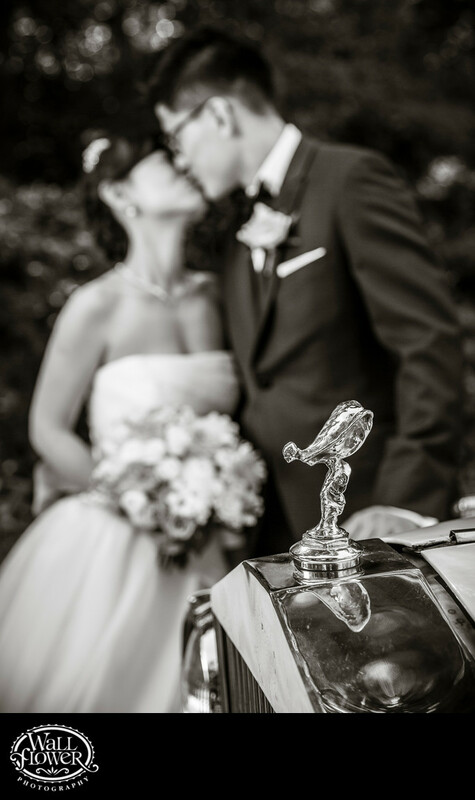 This detail photo focuses on the Spirit of Ecstasy — the famous hood ornament of Rolls-Royce cars. My clients hired a chauffeur to drive us from their wedding venue, the Seattle Tennis Club, to a nearby park for some bride and groom portraits in a forest-like setting. Of course, we included the car in some photos as well, including traditional poses with the car as well as more fun and artsy work like this one.